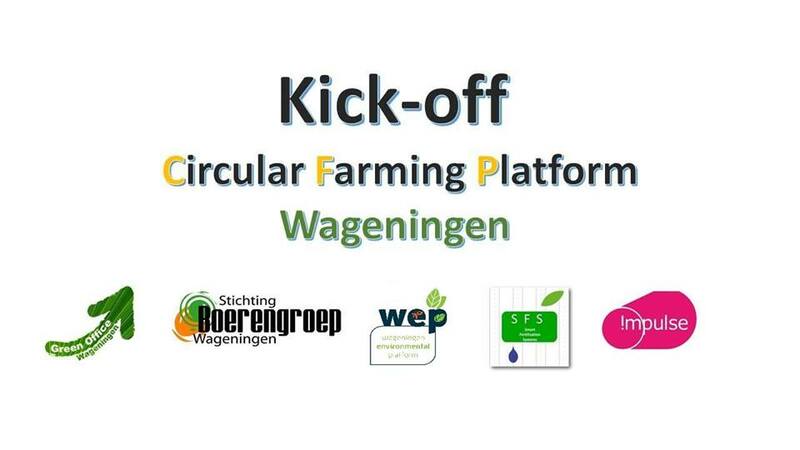 Join us during lunch on Friday 18th of January for the Kick-off of the Circular Farming Platform! During this event you will get to know why we initiate this platform, who we are, how you can become active, and what you can expect. To emphasize the urgency of moving from linear to circular models in agriculture we have invited two guest speakers: Ekko van Ierland (WUR prof.) and Erik Goewie (emiritus prof.). They will both give their perspective on the need for this transition in a historical context (in 15 min). WHY The Circular Farming Platform? We are extremely thrilled with the words of the Dutch minister of agriculture and our executive board president and we agree that a paradigm shift is both urgent and necessary. Being aware of the enormous efforts it needs from all parties to make a paradigm shift reality, we take the initiative to raise this platform to facilitate space for dialogue to stimulate the transition in education (& research) towards improvement of circularity in farming. First of all, we aim to create awareness about the urgency to make this transition. Second, during our events we aim to gather perspectives and ideas from students and researchers from different fields and together we will write an advice to the Board of the University.